The Christmas/summer holiday period in Australia is a puzzling phenomenon. Many of us, especially those with school-aged children, take time off work in late December and early January; the weather is (generally) warm, the beach is inviting and we catch up with family and friends and eat lots of fantastic food … all great things to look forward to. And yet, somehow the run-in to Christmas is often the most hectic and stressful time of the year. Shopping for presents can be a highly stressful experience. A seemingly relentless barrage of pre-Christmas functions and over-consumption of alcohol and party food soon take their toll on physical and mental wellbeing. For some, the planning of multiple Christmas events for two or more interlinked families requires an extraordinary amount of negotiating skill and teeth-grinding effort. Yes, these are complaints from a well-fed citizen of an affluent country. We are lucky to live so well that preparing for feasts and celebrations can be regarded as stressful. Nonetheless, there’s no doubt that many people find this time of year very difficult. To take an extreme example, recent Australian research detected a statistically significant increase in suicide numbers on Christmas Eve and New Year’s Day. In this article, we examine the concept of stress and what it means for human health. Stress is a somewhat slippery concept. It is often defined in a circular fashion as the result of circumstances that most people would find stressful – that is, stressors. Moreover, events or entities (or the anticipation thereof) that cause stress in some people can create little or no stress in others. Ultimately, stress derives from our individual perceptions rather than reality, but that does not reduce its importance as a health issue. Sense of control (loss thereof). Stress is often described as a feeling of being overloaded, wound up, tense and worried. Stress increases our levels of hormones such as adrenalin and cortisol, in turn lifting our heart rate, breathing, blood pressure, metabolism and muscle tension; our pupils dilate and perspiration rate increases. These responses are designed to help us to react quickly and effectively to a stressful situation (the ‘fight or flight’ response). This is obviously a vital evolutionary adaptation for dealing with predators or other immediate dangers, but is less helpful as a reaction to a set of exams or a persistent problem at work or in a relationship. It has long been held that cognitive performance improves as stress increases – at least up to a point. The Yerkes–Dodson law, depicted graphically below in the anxiety–performance curve (source: Australian Family Physician, 2013; 42(8):542-545), outlines the relationship between stress and performance. The anxiety–performance curve indicates that performance can be improved by either decreasing or increasing stress, depending on where the individual’s initial level of stress is located on the curve. 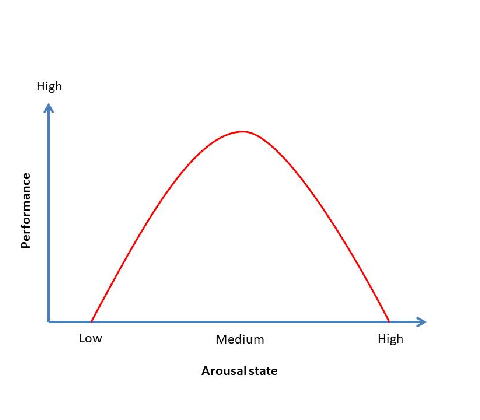 A medium state of arousal, or moderate stress, can focus attention on priorities, such as motivating a student to prepare for a test, or an athlete to train for a competition. Much of the evidence about the biological effects of stress comes from animal experiments. At the University of California, Elizabeth Kirby and colleagues exposed rats to a moderate acute stressor (they restrained them for a few hours) and subsequently detected an increased rate of neurogenesis (growth and development of nervous system cells, or neurons). Injecting the rats with the stress hormone corticosterone had the same effect. Moreover, the stressed rats performed better than control animals in a memory test two weeks after the stressful experience, which is the time required for new neurons to become functional. Psychological factors – low self-esteem, negative perceptions and beliefs, unhelpful coping strategies. Chronic stress causes muscles to tense for long periods of time, which can trigger other reactions and promote stress-related disorders. Both tension-type headaches and migraine headaches are associated with chronic muscle tension in the shoulders, neck and head. In contrast to moderate acute stress, chronic stress impairs memory and reduces neurogenesis, and leads to many other adverse health consequences, including cardiovascular disease, obesity and depression.Excessive stress has been shown to weaken our immune system’s defences against infections and chronic inflammatory conditions and reduce our capacity to produce antibodies following vaccination. The extent to which stress-induced changes in the immune system affect disease susceptibility in otherwise healthy people remains an important target for research. We mentioned holiday stress and suicide in the introduction. There are two main hypotheses about the fluctuations in suicide around public holidays. The ‘broken promise effect’ is the idea that some culturally special days promise more than they can deliver, and when they fail to deliver, some people are left feeling deflated and at increased risk of suicide. Holiday periods are expected to be enjoyable, but often come with additional stressors such as overspending, family conflict and alcohol use. Moreover, being unable to share holiday time with family, for reasons such as distance or work commitments, can exacerbate loneliness and depression. A second explanation for a decrease in suicide on the holiday itself, and an increase afterwards, involves the return to work. Suicide rates are typically highest at the start of the working week and decline thereafter. Work is clearly a major stressor in many people’s lives, and the more we do of it, the worse we feel. For example, a meta-analysis of data from 21 studies found a small but statistically significant positive correlation between physiological and psychological ill-health and hours of work. 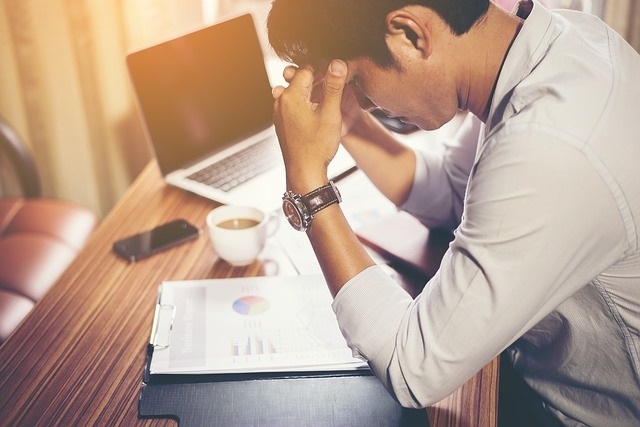 In 2013, nearly half (47 per cent) of working Australians reported that workplace issues were a substantial source of stress, and workers reported significantly lower levels of workplace wellbeing and job satisfaction than in 2011 and 2012. One might expect that Australians would be feeling less stressed on average as working hours fall (see the table below). Of course, this trend is largely driven by the shift from full-time to part-time work (nearly 32 per cent of employed Australians worked part-time in 2017, up from 26.5 per cent in 2000), which, for the many part-timers who would prefer to work full-time, represents yet another stressor. There is some evidence that a holiday that involves time off for serious, dedicated, even formal relaxation reduces stress and improves health and wellbeing. The Retreat and Relaxation Study compared the effects of a resort holiday to training in a meditation/yoga retreat at the same resort. Healthy women aged 30–60 years were randomised to a holiday arm or ‘novice meditator arm’. After a week at the resort, both holiday-only and meditation/yoga participants reported greater vitality and reduced distress. Ten months afterwards, the meditation/yoga participants maintained clinically meaningful improvement in depressive symptoms compared with the holiday-only group. Moreover, genes that are normally needed for dealing with stress, wound healing and injury were shown to be downregulated in all participants. Thus, this study suggests that having a holiday in itself delivers meaningful short-term benefits for physical and mental health, while participation in a formal health and wellbeing program such as meditation provides longer-term benefits. Evidence for the effectiveness of individual stress management strategies, with or without the help of a professional, is accumulating. ‘Healthy mind, healthy body’ is a sound approach to managing stress. Including all the elements of the PRAISES framework (below) in your life promotes a balance of physical and mental fitness. Problem-solving The underlying problem is identified and a potential solution developed, implemented and evaluated. Cognitive strategies Recognising and challenging negative and unhelpful thoughts and attitudes has been found to reduce stress levels. Stress inoculation trainin A cognitive–behavioural technique used to help improve an individual’s ability to cope with specific stressful social experiences. Assertiveness training This technique can help individuals improve their communication skills and avoid frustrating or upsetting interactions. Lifestyle changes Simple lifestyle changes – regular exercise, reduced alcohol and caffeine intake, better sleep – can minimise negative stress responses.